1x 1200mm x 800mm Shower Enclosure with slimeline tray boasting 25mm height. The traditional style with sliding door giving maximum entrance and creating a feel of space. The handles are complimentary of the traditional style. The traditional shower valve has cross head handles that functions over head rose shower and a telephone handset via a diverter for a enjoyable experience. 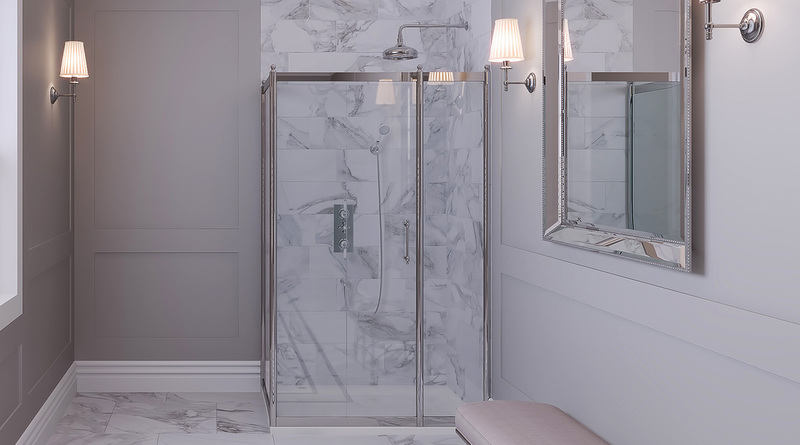 1200mm x 900mm low profile stone resin shower tray and waste, 1200mm x 900mm sliding door and side panel enclosure, shower valve, wall mounted shower arm and shower rose, wall outlet and handset kit. If you are unable to run your shower waste through joists or installing on a solid floor you will require a riser kit, complete with plinth.